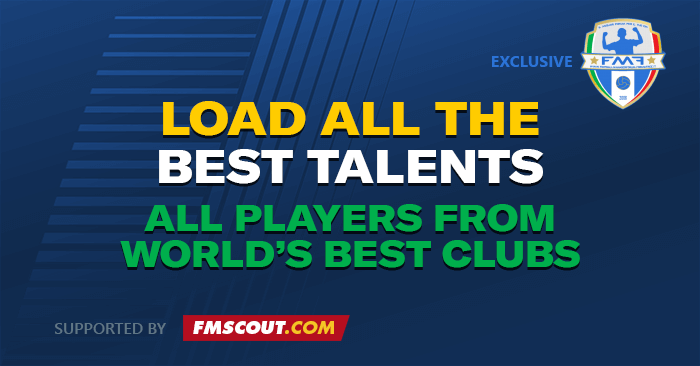 Using these DDT files with FM 2019, ensures you won't miss the best talents! 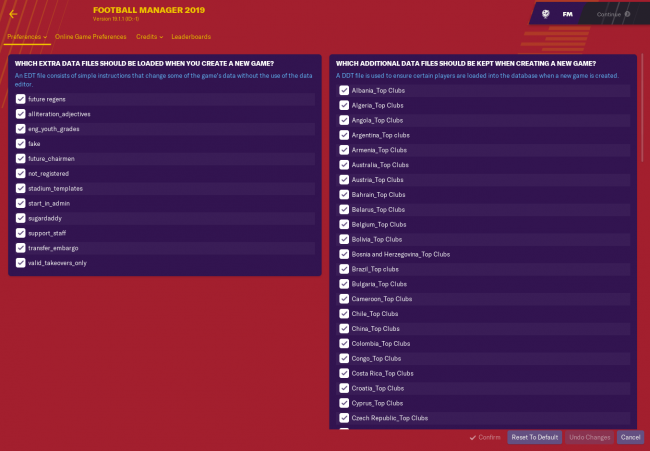 It retains all players from the world's best clubs and includes them in your new save. Created by FMF. This will only work by starting a new save game. You don't need to use them all; simply select the nations that interest you the most. The ddt are light files that allow you to have in your career all the players of the best teams in the world. They have been developed based on Pozzo DDT (already excellent) and have been expanded nation by country, adding new teams. These files guarantee you to find the players of the championships you did not load; in this way you will not miss the best talents! Below is a list of the nations present; each country will have the best teams of the 2 major leagues (e.g. Italy will have the best teams of Serie A and B, Premier and Championship for England). Extract the contents of the downloaded .rar archive with a free tool such as 7-zip for Windows or The Unarchiver for Mac OS. You'll get the ddt folder. Then open FM19 and go to Preferences > Extra Files. Put the check to the ddt you prefer. Is there any way of making this work with the new update? Can i just copy the ddt file from 1910 to 1930 so it works in the new winter update? @GiorgosAth, as it says at the very top of the article; "This will only work by starting a new save game." " You'll get the ddt folder. Put the check to the ddt you prefer. " Shall I be able to add this file and take advantage of it while I have already started a game, or only If I start a new game? Is there a shortlist with the players?? Can it make overload and effect the performance ? Do you have any suggestion? Handcrafted in Symi, Hellas. Page created in 0.324 seconds.